High turnover rates can be disastrous for any company. Businesses that frequently lose employees must deal with a wave of issues, from dedicating more resources to hiring new staff members to increasing the workload on current employees in the interim. While some organizations cannot prevent losing certain workers, there are a few simple ways businesses can reduce voluntary turnover rates. 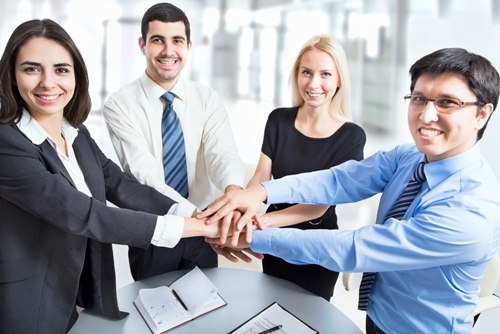 Employee recognition is imperative for any successful company. Workers who feel valued perform better, have increased rates of satisfaction and are less likely to leave the company. While employers should not seek artificial opportunities to praise staff members, they should be sure to acknowledge good work as they see it. According to the 2013 State of the American Workplace report, released by Gallup, nearly 70 percent of workers in the U.S. are not fully engaged at work. However, the study found that managers who placed a heavy emphasis on developing staff morale through positive recognition reported significantly higher figures, nearly doubling the number of engaged employees. Whether they’re sending a quick email or verbally acknowledging an employee’s performance, this type of praise can greatly alter workers’ dedication to the business. Another way managers can show employees that they are invested in their futures with the company is by adopting flexible practices in the workplace. Employers have many options when promoting these initiatives, including allowing staff to complete tasks outside of the normal working hours and permitting employees to telecommute to the office. The Gallup report noted that employees who work from home are not only more engaged during the day, but also log more hours than those who stay in the office. One of the best ways to build teams, increase employee satisfaction and decrease turnover may be by encouraging workers to volunteer together, according to Inc. magazine. One company, The Cellular Connection, examined how volunteering affected workers by asking them to spend two days every year giving back to the community. The company’s director of customer and employee relations, Ryan McCarty, explained that workers frequently become fully immersed in the activity and enjoy spending their time volunteering. He conducted a survey of the business’ 864 employees and found that 65 percent were encouraged to stay with the company after volunteering in the community. Maintaining regular conversations with employees is essential for reducing turnover. Managers should be sure to speak to workers on a regular basis, learning about what challenges they be facing, how they think the office can be improved and what concerns they may have about the future. Employers should consider holding weekly or monthly meetings with individual workers, as they can most accurately gauge performance through these means. By staying in communication with all staff, managers can effectively learn about issues that may cause a worker to leave the company and present solutions that could keep that person from quitting. While speaking with staff and recognizing good work are important for increasing satisfaction in the office, managers must show employees that they appreciate all of the work they complete on a daily basis. Whether you’re saving for a quarterly celebration or seeking an opportunity to show your appreciation, you should search for ways to say thank you to workers, such as distributing promotional gifts for employee recognition. Consider giving employees an item that they can use on a daily basis, such as the 14 Oz. Promotional Wave Mug, which can be kept at the desk or brought home and stored in the kitchen.